As you’ll see by the (late) date of this post, I’ve been suffering from a bit of cooking apathy lately. When the March Spice Rack Challenge was announced, I knew I didn’t immediately have anything up my sleeve, and I would actually have to cook a new recipe. I mean, I make homemade chai on a fairly regular basis – how hard could it be? Well then I went to Alaska, and then to Vermont, and long story short I haven’t had a weekend at home in four weeks! No time to cook + cooking apathy = shortage of timely posts. 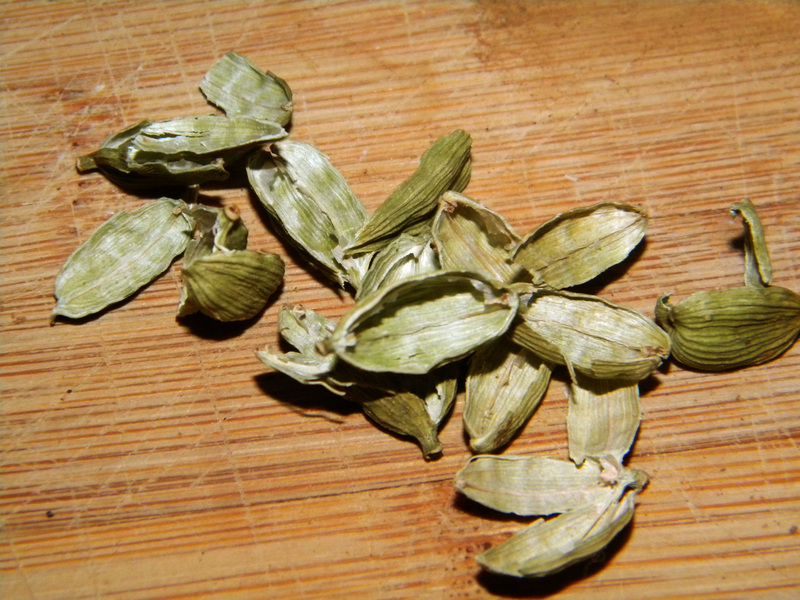 So in search of a cardamom recipe, I first went to my delicious bookmarks. Delicious.com is an internet bookmarking site, one which I use to organize recipes I find by ingredient and type of cooking. Its a great resource when you’re stumped what to make – “I have this and this and this…” – and helps filter the vast collection of internet recipes I’ve stumbled across. Unfortunately, there was no deluge of cardamom-containing recipes there, so I headed over to Food Blog Search. I toyed with the idea of making Chai-Spiced Chocolate Chip Cookies (Chai Chocolate Cookies for less of a mouthful) but frankly that seemed kind of… erm… half-assed. Which, in truth, it was. 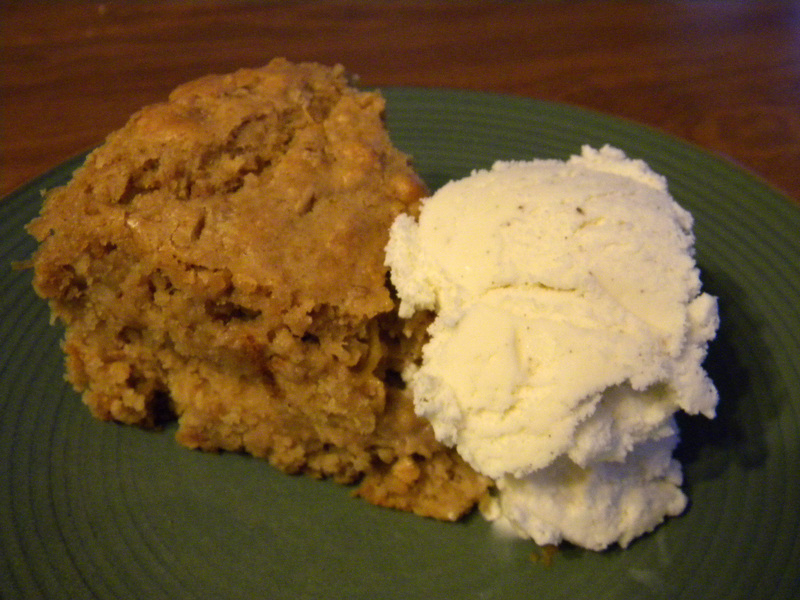 Luckily, The Kitchn came out with a recipe for a Yogurt Apple Cake. I know, I know, it contains no cardamom. But don’t you think cardamom and apples would be a lovely combination? I also modified the recipe because I didn’t want to go to the store again for yogurt or apples, and I did happen to have some canned shredded apples a la Mrs. Wheelbarrow and a bit of sour cream. I have two more jars of those apples destined for apple hand pies (this weekend maybe?) and figured I could use a jar for cake… who doesn’t like cake? Plus – a recipe that clears out some of my canning pantry? Done. Heat the oven to 350°F. Grease your cake pan with softened butter. Add a cookie sheet on a lower rack – this cake may spill over. Mine did. Ah, 20-20 hindsight. Whisk together the yogurt, vegetable oil, sugar, eggs, and vanilla (“wet ingredients”) in a large bowl. Add the jar of shredded apples. Sift the flour, baking powder, baking soda, salt, nutmeg, cinnamon and cardamom into another bowl. You can sift straight into the liquids bowl, but I find it easier to do it in a separate bowl, then incorporate the dry ingredients in thirds. So, time to divulge my spice secrets. I get my spices from three main sources: Penzey’s (online/West Hartford), World Spice (online/when in Seattle), and the Latino section of the grocery store. Both Penzey’s and World Spice will grind your stuff to order. It’s one of those things, that you dont know what you’re missing until you smell them for yourself. On my recent trip to the Pacific NW, a visit to World Spice yielded the most amazing Vietnamese Cinnamon and Pimentón/Smoked Paprika. Worlds away from that grocery store cinnamon you bought forever ago. Spices lose their zip after about a year, so its best to buy in small amounts and replace often if you can. 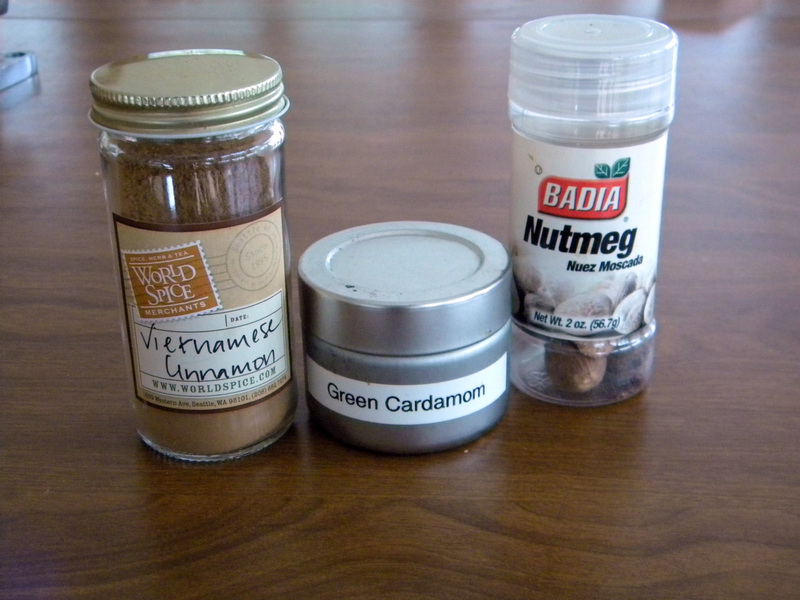 Even better – buy things like nutmeg and cardamom whole so that you can grind them yourself immediately before use. I found a secondhand coffee grinder at a thrift store a few years ago that has become a spice grinder. The Latino section of your local supermarket will have deals (read: its cheap) on certain things – I buy nutmeg, cloves, and occasionally onion powder there. I also have bought spices in bulk from natural foods stores like Whole Foods or a local co-op. Their higher turnover will almost always yield better quality than sealed jars sitting on the shelf since ancient times. Left to right: World Spice, Penzey’s (my labeled jar) and Badia. What are your spice sources? Anyway, back to the cake. You can make a spiced swirl and separate the batter like the original recipe, but frankly I was lazy and just wanted some yummy cardamom apple goodness, stat. The leftovers. There was no leftover cake. The original recipe says to bake for 45 minutes. Mine was done about 40 minutes. Every oven is different – get an oven thermometer and be vigilant after half an hour. I am a big fan of the toothpick test. 1. Make it healthier. I cut the amount of sugar from the original recipe with maple syrup. Add less sugar, add more maple syrup, up to you. I don’t use agave nectar, but if that’s your thing I’m sure you could sub it in. I can see flax seeds, walnuts or pistachios as other healthy but delicious additions. 2. Add more apples. One jar of apples was good, but I think adding some larger fresh chunks of apple (Granny Smith?) would have added to the texture. 3. We served it with Vanilla Bean Ice Cream (naturally) but it would be lovely with a glaze. 4. Don’t just eat it for dessert – it became my breakfast with some yogurt! This entry was posted in baking, preserving on March 21, 2011 by Kate @ Snowflake Kitchen. What a great idea! I happen to have a couple of jars still in the pantry and one is certainly destined to become this cake. Thanks so much for the link-love and this wonderful twist on an apple cake. Please let me know how it turns out! We really loved this one. 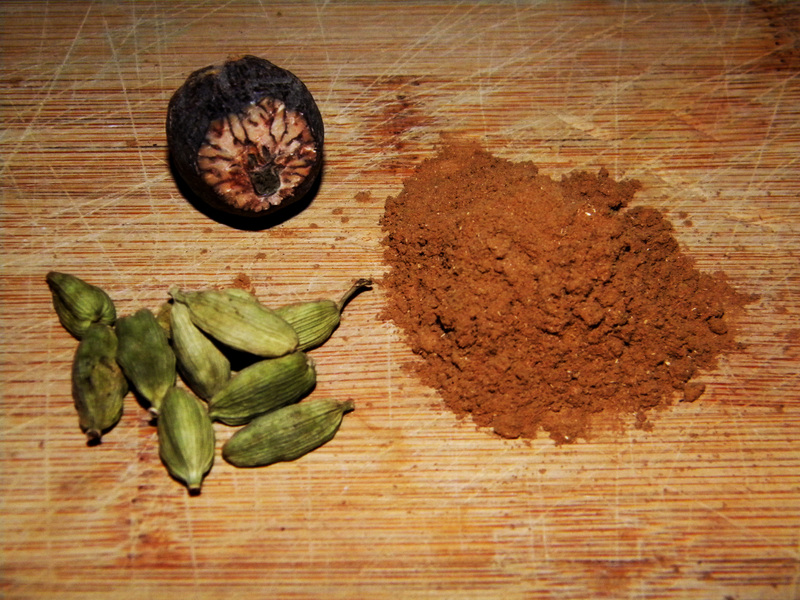 Cardamom is a great spice. We love it on sweet potatoes, Brussels Sprouts, strawberry/rhubarb pie… It just has a way of warming things up, without making them spicy. Strawberry Rhubarb Cardamom pie! Ye-gads… I will have to try that. Man, I love that smoked paprika… Alex has to stop me from putting it into everything [savory].